We received the most beautiful email the other day: an organizer reached out to let us know that they found us online and want to support the Art Monastery! They are organizing a tour that benefits a different local charity each night. 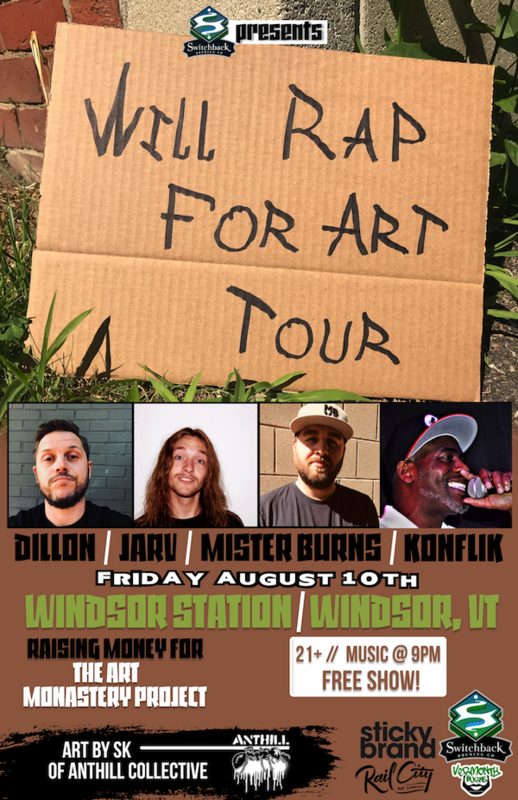 On Friday August 10 in Windsor, Vermont, artist SK will create a painting in front of the audience. The organizers will auction off the painting and then donate the proceeds to the Art Monastery! If you’re in the area, join us for the fun!